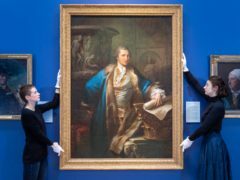 A portrait of famed 18th century Scottish architect James Adam is to go on display in Edinburgh and London after being purchased for £480,000. Organisers behind the climate change protest which has brought parts of central London to its knees say they are prepared to escalate the group’s tactics if their demands “are not met” – with “thousands more rebels” expected to join in the coming days. Londoners face a fourth day of disruption as environmental protesters vow to maintain roadblocks across the capital despite nearly 400 arrests. Michael Gove has told environmental protesters “we’ve got the message” as campaigners vow the disruption in London will continue for weeks. Environmental protesters have vowed the disruption in London will continue for weeks as activists chained themselves to Jeremy Corbyn’s garden fence. Some travellers affected by the disruption caused to public transport by climate protesters in London have condemned the demonstrations as “seriously flawed”. Climate protesters have climbed on top of a train in a busy financial district and glued themselves to the roof. Wi-Fi at Tube stations has been disabled in a bid to stop campaigners intent on disrupting services co-ordinating their protest. Campaigners are planning to disrupt Tube services as part of a series of climate change protests which have led to nearly 300 people being arrested in the capital. More than 200 people have been arrested during a second day of climate protests which have caused serious disruption in London. A whisky infused “Scotch Cross Bun” created for Easter will be on sale in New York and London this weekend. Major roads in central London have been blocked for a second day by climate change protests, which have seen more than 120 people arrested. 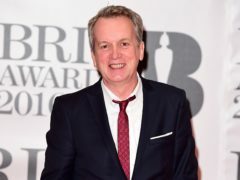 Comedian Frank Skinner will return to the Edinburgh Festival Fringe this summer ahead of his new stand-up tour in the autumn. Environmental protesters have blocked some of London’s busiest roads in a bid to bring the capital to a standstill. 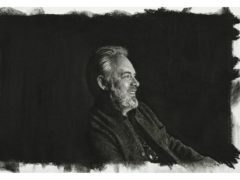 Film directors Sam Mendes, Ken Loach and Sir Ridley Scott found themselves in front of instead of behind the camera in a new display for the National Portrait Gallery in London. News of the delay to Brexit was positively received by travel stocks in London on Thursday, as the deadline was pushed back to after summer. A new fleet of Caledonian Sleeper trains, with double beds and en-suite bathrooms, have been unveiled and transported passengers for the first time. Protesters plan to block traffic at four London locations “around the clock” to force the Government to take urgent action on climate change and wildlife declines. A man arrested in Romania over the fatal stabbing of 21-year-old Josh Hanson in 2015 has been charged with his murder. Vending machines dispensing short stories for commuters to read as they travel across London have appeared in the capital. Council leaders have welcomed the introduction of a new Inverness to Heathrow service this week that will allow commuters to send a working day in the capital. A man is creating a giant outline of his body by walking nearly 200 miles within the M25 and mapping the route on GPS. A suspected knifeman has been arrested over a series of unprovoked stabbings after a fifth victim was attacked just yards from a manned police cordon.